In the constant quest for healthy, weeknight meals that require a minimal amount of time and effort, here's another Fast & Fabulous recipe I'd like to share with you! This Red Curry Chicken Stir Fry was inspired by some of my favorite Asian flavors including spicy red curry; rich, creamy coconut milk; and freshly grated ginger. The shiitake mushrooms, chopped peanuts and dark meat chicken also add delicious texture to the dish that really keeps you coming back for more (Steve will happily vouch for that). If you're in the mood for wine (c'mon, you know you are), a white wine with a hint of sweetness like Pinot Gris or Riesling will work nicely to complement the flavors as well as keep the heat in check. If you're in the mood for red, however, give a light, fruity Beaujolais a try. I hope you enjoy this dish and for other recipes in the Fast & Fabulous series, please go to the top, left-hand side of this page and enter "Fast and Fabulous" in the search box. Then simply select from the delicious results and enjoy! Heat 1 Tbsp. peanut oil in skillet over high heat. When oil starts to smoke, add green beans and carrots and stir fry for 1 minute. Add 2 Tbsp. chicken stock to facilitate cooking and stir fry for another minute. Transfer to plate and set aside. Wipe out the pan and return to heat. Add the remaining 2 Tbs. peanut oil and heat over med-hi heat. Add the garlic, ginger and half the chiles and stir fry for about a minute. Add the red curry paste and stir fry for 1-2 minutes. Add the chicken and stir fry until chicken is browned, 3-4 minutes. Add the coconut milk and cook for an additional minute. Stir in the remaining 1/4 cup chicken stock, shiitake mushrooms, light parts of the scallion, and fish sauce and cook until the chicken is cooked through, 1-2 minutes more. Add the green beans and carrots back to the pan and season with salt and pepper to taste. Transfer to a serving plate and garnish with the chopped cilantro, green parts of the scallion, remaining chiles and chopped peanuts. Serve over white or brown rice. Wine Wednesday: 2008 St. Francis Sonoma County "Old Vines" Zinfandel! 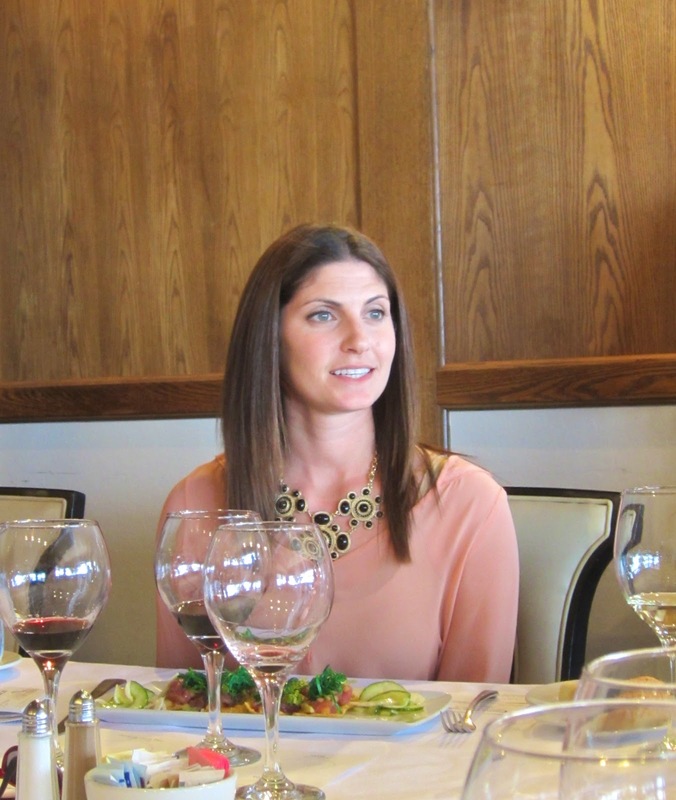 Earlier this week I had the pleasure of meeting Katie Madigan, newly appointed Sonoma County winemaker for St. Francis Winery & Vineyards. Katie succeeded previous winemakers Tom Mackey and Dennis Borell and joins Artisan Winemaker Heather Munden to complete an all-female winemaking team at the winery - goooo girl power! Katie majored in Chemistry at UC Santa Barbara and first joined St. Francis as a harvest intern in 2002. When asked how she made the leap from Chemistry to winemaking, the gregarious and quick-witted Madigan replied, "I loved chemistry and then they put me on a tractor and I was golden!" In 2004, she became a full-time lab technician and, following her studies in Enology and Viticulture at UC Davis, she was promoted to Assistant Winemaker in 2006. Since joining the winery she has implemented new techniques including night-picking Chardonnay grapes in order to preserve the fruit's delicate aromas and flavors. Her goal is to, "ensure that our Sonoma County wines express true varietal character and the best attributes of their terroir." This week's Wine Wednesday recommendation is the 2008 St. Francis Sonoma County Old Vines Zinfandel. Although no legal definition for the term "Old Vines" exists in California, these vines range from 55 to 100 years old and produce low yields of fruit with highly concentrated, intense flavor. The vines, on their original St. George rootstock, are dry farmed and rely entirely on natural rainfall with no additional irrigation in order to produce higher quality fruit. This delightful Zin has oodles of ripe, black fruit, cassis, pepper and spice with a long luscious finish. It is well balanced with just the right amount of tannin and represents a fabulous value for the price. It immediately had me thinking of Summer cookouts and would pair deliciously with grilled meats, burgers or BBQ. Perfect for: Summer sipping; pairing with burgers, steaks, BBQ and just about anything that comes off the grill! Maison Joseph Drouhin & Napa Valley's La Toque are a Perfect Pairing at Boca Bacchanal Vintner Dinner! We recently celebrated the 10th Anniversary of the Boca Bacchanal, a weekend-long celebration of food and wine that benefits the Boca Raton Historical Society. As Chairs of the event this year, I am pleased to announce we raised over $300,000 to benefit the Historic Preservation and Heritage Education Programs of the BRHS. A tremendous thank you to everyone who supported the event this year! The weekend began with Vintner Dinners held on Friday night in private homes and clubs in Boca Raton and Delray Beach. My husband Steve and I co-hosted a Vintner Dinner with our friends Kate and Ted Toomey and Bill and Sharon Shubin at the Seagate Beach Club. Our dinner featured the renowned wines of Burgundy's Maison Joseph Drouhin paired with the cuisine of Napa Valley's heralded La Toque, recipient of a coveted Michelin star. Representing his family's estate was the charming Laurent Drouhin, a member of the fourth generation of the family perpetuating the legacy of Joseph Drouhin established in 1880. From La Toque, Chef-proprietor Ken Frank created our amazing menu and, along with his beautiful wife Sherylle, graced the kitchen to prepare our fabulous five course meal. The pairing of Chef and Vintner was a splendid match in terms of both flavor and philosophy. 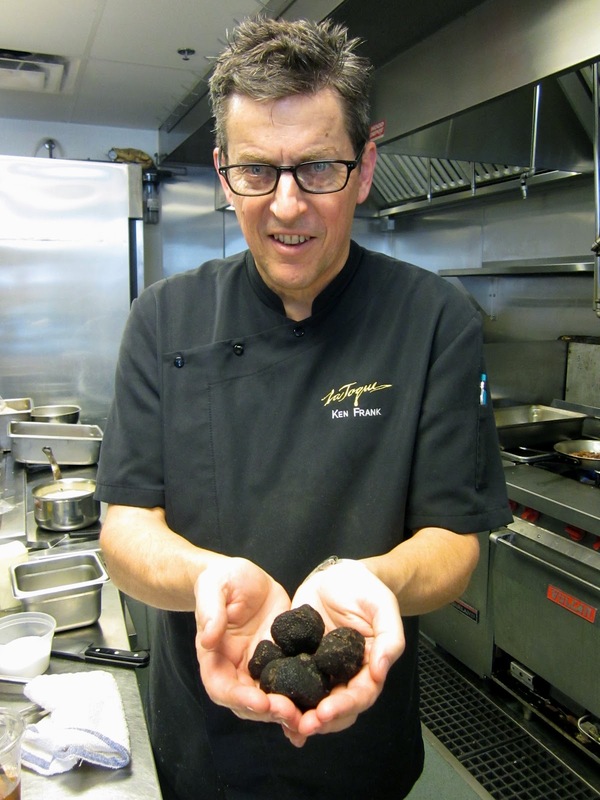 Prior to the event, Chef Ken shipped in some special ingredients especially for our dinner. Two items of particular interest included black truffles from Italy (some of the last of the season) and Colossal Dutch white asparagus straight from Holland (the first of the season). I had the pleasure of observing him in the kitchen the day of the event and definitely learned a thing or two including how to make perfect lardons - dangerous! I also had the chance to speak with him about the controversial California foie gras ban set to take effect July 1st, 2012. More about that in a future post! As guests arrived at the Sea Gate Beach Club, located on the shores of the Atlantic in Delray Beach, they were greeted with a flute of Champagne Taittinger Brut La Francaise NV and a delicious assortment of hors d'ouevres including Freshly Baked Gougeres, Smoked Salmon Mousse, Patatas Bravas, and Curried Dungeness Crab. While everyone sipped and savored, the music of our jazz trio provided an atmosphere of relaxed coastal elegance. Steve and I were very happy to have reconnected with one of our favorite vocalists, local jazz legend Samm, since she had performed at our wedding almost eight years before! We were so glad she could join us for this event. Following our fabulous meal, Chef Ken emerged from the kitchen and both Chef and Vintner received an extremely well-deserved round of applause. They were also kind enough to answer a few food and wine related questions from our dinner guests. One of which was, "What's your favorite Drouhin wine?" 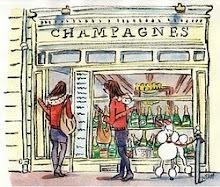 Without committing to one in particular, Laurent stated he generally prefers wines that are more feminine in style. Chef Frank said his favorite wine of the evening was the Les Clos Vaudon Chablis Grand Cru. Another guest asked about the sourcing of foie gras to which Chef Ken replied he only uses the most reputable domestic producers. Again, more about that in a future post! Following dessert guests lingered and relaxed on the balcony enjoying the remainder of the wine and the cool ocean breeze. Steve managed to convince some of the guys it was also the perfect time for indulging in cigars! 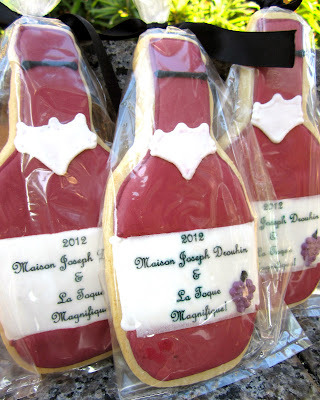 As guests left, they received a sweet reminder of the evening custom made by the The Occasional Cookie Company featuring our fabulous Chef and Vintner. On behalf of my husband Steve and our co-hosts, I'd like to thank our amazing Chef and Vintner for a truly magical evening. We'd also like to express our heartfelt thanks to some other very important people including Cathy McNellen and the staff of the Seagate Beach Club for all their hard work and attention to detail; Julia Johnston and Steve Mednick for their invaluable pre-event assistance and for stepping in as sous chefs for the evening; and Elizabeth Murdoch Titcomb and Katherine Regna our liaisons and photographer for the evening. We couldn't have done it without you! The Fifth Annual American Fine Wine Competition Gala! 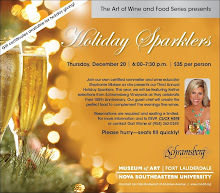 If you are a fan of American wine, have I got an event for you! 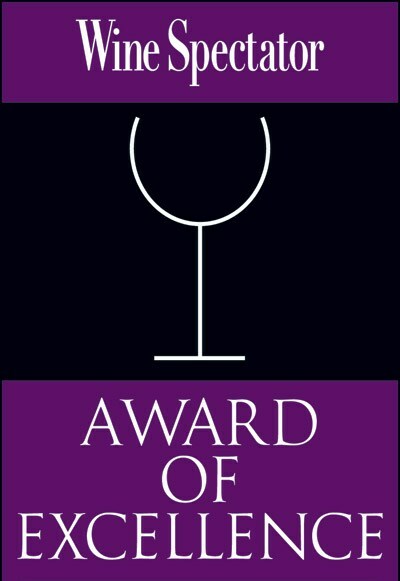 Next Thursday, April 19th marks the Fifth Annual American Fine Wine Competition Gala, an event that celebrates the prowess of US wine making. Whether you prefer California Cabernet, Oregon Pinot Noir or New York Riesling, this event has something for every palate. The competition is the brainchild of co-founders Shari Gherman and Monty and Sara Preiser, all wine industry insiders who held the first AFWC event in 2007. The team also selects all the wines for the competition, which is by invitation only. This year I was honored to be included on the Judges Panel for the competition. The panel consisted of an esteemed assortment of wine professionals from a variety of domains including wine educators, wine writers, restaurateurs and sommeliers. Next Thursday's Gala will include 600 of the wines featured in the competition as well as the culinary expertise of Chef Emeril Lagasse who will perform a cooking demonstration for lucky attendees. Prior to dinner, a drawing will be held allowing eight lucky guests to sit on stage at "Emeril's Table" to enjoy the demonstration close-up. Alan Kalter, announcer for Late Night with David Letterman, will serve as emcee and Auctioneer for the evening and entertainment will be provided by Dayve Stewart and the Vibe. The Fifth Annual American Fine Wine Competition Gala benefits the Diabetes Research Institute and the Golden Bell Education Foundation and is sure to be a fabulous evening for a very worthy cause. The Gala will be held at the Boca Raton Resort and Club and starts at 6pm, tickets are $310. For more information or to purchase tickets for the event, please click here. Hope to see you there! 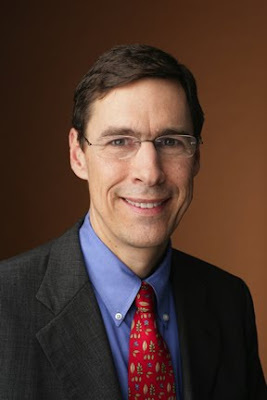 Interview with Wine Spectator Executive Editor Thomas Matthews: Part 3! What are your thoughts on social media and how it has affected the wine industry? It seems right now that’s its still kind of a tempest in a teapot. I mean, there’s definitely a tempest, but it seems like it’s still kind of a small teapot. I’m sure as it develops it will have a broader and broader impact on culture as a whole and will be a more and more important part of a publication or media company that wants to get its message out and retain and interact with its readers. Wine Spectator has a Facebook Page and we're on Twitter, a few of our editors tweet but it's still kind of limited as we understand how people are using it. I would say our magazine readers are still not really social media people, and my guess is that most of our website users are not active either, but we do need to find a way to engage with the people who are engaged. I think the bottom line is real engagement with real people and how to really maximize that through social networks and we’re still experimenting. Generally speaking, what are your thoughts on wine bloggers? You know people blog for so many different reasons from so many different angles that I think it's impossible to generalize. You have the trade people who are talking about the trade, you’ve got the explorers who are kind of learning and their blog mirrors their progress as they’re learning and that’s useful. Then there’s a few that are trying to be aggregators or pot stirrers so I don’t think you can really generalize, but it’s clear that some people are creating brands for themselves which they may or may not be able to monetize. I think, bottom line, the ones that I tend to go back to have a clear personal voice and point of view. They have a knowledge and a passion about wine you can see, and their content is educational enough so that there’s a reason to read it. 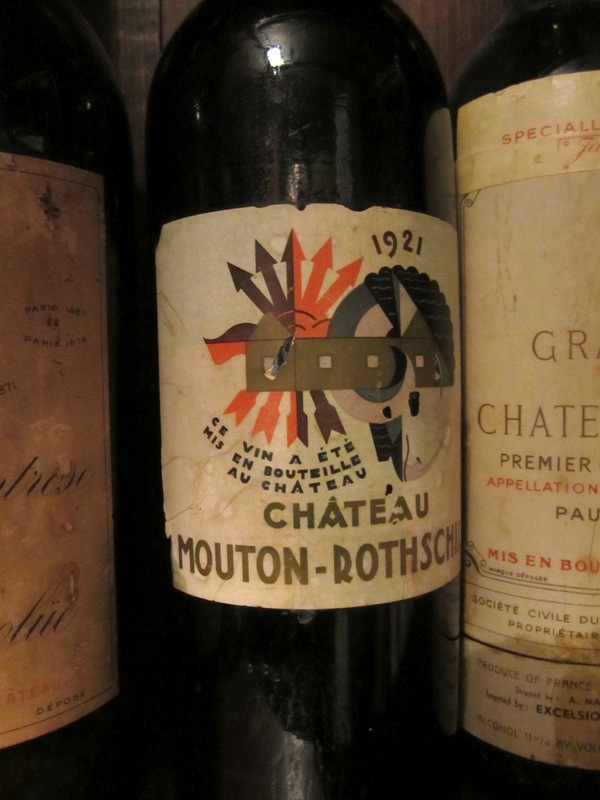 Was there one particular bottle of wine that sparked your love of wine? Many people have that epiphany bottle, but that never really happened to me. I mean really for me, I had drunk wine in college and after college and I thought I was learning about wine because I knew the difference between Margaux and Chateau Margaux but I had never really drunk any ‘great’ wine or nothing that really stuck in my mind. Just drinking the wine at the property [in Bordeaux] with the food that the woman cooked with the workers under the sun, that was enough. Since then of course I’ve had the great good fortune of drinking incredible wines and many of them have marked me in indelible ways but I wouldn’t say it was because of a bottle of wine that I fell in love with wine, it was really more the people and the place. A $15, 88-pointer from anywhere around the world. I mean I buy most of the wine that I drink. I have some very good retail shops in my neighborhood that I have good relationships with, so I’ll go in and ask them what they’ve tried that’s interesting, or I’ll read about something in a magazine that I’ll want to try, or I’ll just pick a wine because it’s from a place that I don’t know about. But on the other hand, my mother-in-law lives on our ground floor and she is a great cook and a real wine lover and unfortunately she’s developed a taste for Burgundy. So when I go down to her place for dinner, I have to take a Burgundy. I mean she’s ok with a Macon, but if I take a Chassagne she’s really happy, and if I take a Corton-Charlemagne she’ll cook me a Blanquette de Veaux. I like the classic pairings because I like the classic dishes and the classic wines like a Barolo with a Brasato, or a Burgundy with a Coq au Vin, or Bordeaux with lamb those are kind of where my tendencies go but I don’t feel like we should be that strict with ourselves most of the time. It’s fun to try to engineer a perfect match and it’s thrilling when it happens but I think random serendipity is also fun to try and some things happen that you wouldn’t really expect. When I was in Bordeaux I stayed for a night with my friends I met back in 1986 when I was living in the little village. 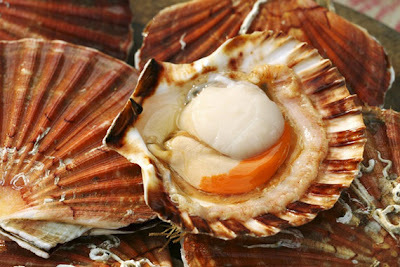 He cooked fresh Brittany scallops that he does with a black pepper and bitter chocolate sauce and he served a 2007 Saumur Blanc. I mean that’s not a wine I would pick up off a wine shelf, and yet there was something about the mellowness of the Saumur that kind of nestled in with the sauce that was kind of hauntingly almost sweet and then there was the acidity that Chenin Blanc always has that picked up on the scallops so it just kind of "whoa"! 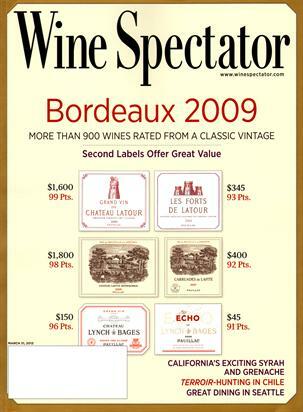 What would you like more people to know about Wine Spectator? At Wine Spectator we’re critics yes, but we are educators first and foremost. Our goal is to help people understand the world of wine and find their way into it in a way that suits themselves. We’re not trying to lead anybody by the nose, we’re trying to encourage people to learn and engage and develop their own sense of joy and wonder and pleasure in wine. Secondly, we’re trying to be very professional about what we do. We have a big staff that takes a lot of resources, but we want to be fair and objective and authoritative in our wine reviews and balanced and authoritative in our stories. Really, it’s a mission of ours to be credible so that people will trust us as guides as they follow their own journey into wine. I think sometimes people see us as too commercial or as heavy-handed authorities, but we’re just a bunch of people who are passionate about wine who are trying to bring other people and ignite their passions for wine as well. I mean that’s been my journey, it was all serendipitous, it was kind of accidental and driven by passion and hope and risk and luck. A big thank you to Thomas Matthews for sharing his fascinating story and helpful advice for those who are passionate about wine or interested in pursuing a career in the wine industry. To read the previous installments of this interview, please check out Part 1 and Part 2 here on The Glamorous Gourmet. Interview with Wine Spectator Executive Editor Thomas Matthews: Part 2! Do you think credentials are important for pursuing a career in the wine industry? I think my generation came into the wine market when there were no credentials. I mean, I don’t have a journalism degree, I never trained as a wine buyer or sommelier, I kind of picked it up as I went along through experience and apprenticeship and I think for most people that sort of passion driving an apprenticeship is still the most common path. That said, I am all in favor of education. I think whether you take a wine tasting course with your local Society of Wine Educators person or take it with our [Wine Spectator] website online or do one of the certifications, all that’s very helpful, but for me when I look at a resume, I’m looking for experience and then in the person I’m looking for passion. Usually people who’ve got those things already have a credential, but it’s not crucial or sufficient. Did you have a mentor or someone who influenced your career along the way? Well, I had a literature professor when I was at [Bennington] college, Claude Fredericks, who really was a bon vivant. He was a great cook, well-traveled. He had a wine cellar and he sort of gave me a taste for the good life. He was a playwright in New York in the 60’s kind of an avant-garde kind of guy and a good friend of Jimmy Merrill, the poet. He was a very unique and creative guy and he deserved more recognition than he got. He also always encouraged my writing so that I would say is the person who sort of set me on the path, but I stumbled along pretty much on my own from college graduation until thirty-five when I got hired by Wine Spectator. Once I got here, Marvin [Shanken] has been the person who’s kind of brought me along and has helped me develop as a person. What advice would you give someone interested in pursuing a career as a wine writer? These days I think writing a blog is an excellent way in because that forces you to write and allows you to build a body of writing you can share with whomever might want to hire you. There’s not that many outlets for wine writing left; it used to be that more newspapers and more general magazines had wine columns or at least used freelance wine work and that’s a hard road right now. Writing on your own and of course learning and traveling and experiencing and interviewing people so that what you write has weight and heft is a way to build your own portfolio of clips. Ultimately, it’s the clips that count for anyone that’s considering hiring you as a writer. Also, certification is not a bad route to take and working in some industry whether you’re writing or in a restaurant or working for a distributor or whatever just to gain more of the skills. I would say that most of our magazine is staffers and most of our staff writers have come young and inexperienced and have grown with us. So they started doing routine news reporting or writing small pieces and as they learned they got bigger assignments. The freelancers that I use tend to be based in wine regions so that they have their fingers on the pulse of someplace important to us. They tend to have some wine experience whether they’re former salesman or former winemakers or something like that so we know that they know the subject. How has the advent of the Internet and its increasing popularity affected the magazine? Marvin likes to say that Wine Spectator Magazine is by far the world’s largest circulation of a wine magazine, we have audited circulation of over 400,000, and that Wine Spectator online is the second largest. So really they have been built as separate entities, publications, businesses although they share a lot of content. Everything we put on the web is original to the web and is aimed at a slightly younger user to be a little brighter, a little easier to digest. Our [magazine] readers tend to be a little older, they’re still attached to print and we feel like people like to hold that in their hand, but I think we’re creating something on the web that’s more flexible, more diverse and hopefully will help us draw the younger generation more into our world of wine. Tell me more about the creation of the Wine Spectator website. It is incredibly comprehensive! Well, it’s a big effort. We launched in 1996 and we’ve been building ever since. We have some very talented people both on the content side and the design side and the fact that it accesses more than 250,000 tasting notes, which is really the world's biggest library of professional tasting notes, that alone makes it unique and I think very useful for people who are interested in learning. How does the Wine Spectator tasting department work? We have eight people whose sole job is to handle the wines and the wine database. We take it very seriously and we have, I believe, the strictest and most objective and fair methodology for tasting of any wine critic I know. It starts with receiving the wines which come either as solicited samples from producers or importers or unsolicited samples...or purchases of wines for one reason or another that we can’t get submitted but feel we have to taste, that’s thousands of dollars every year. So the wines come in and they have to be unpacked and the first, and key step, is putting them into the database. Wine names are complicated and the database is huge and if you make a keystroke slip that wine could get lost forever so the tasting coordinators have to be incredibly orderly and conscientious to make sure they enter the wines in correctly. Then the bottles go into our cellars. We’ve got three cellars here in the building and they have probably 6,000 bottles at any given time because we're tasting about 10,000-12,000 wines a year here in this office. So then the tasting coordinator will pick the wines to set up into a flight of 15-25 wines based on some coherent theme. I might get 20 Riojas: ’09, ’08, and ’07 or maybe 20 Riojas ’08 depending on what’s in for tasting. Then they’ll all go into bags, the bags will all be coded, the codes will be entered into the database and I’ll sit down at a table with 20 bottles in the bags and the computer screen that has the codes on it and take the notes. After I’m done they have to bring those notes into the database, clean up after the tasting and set up another tasting. They’re also in charge of exporting those notes to the magazine for the buying guide, to the web for all of our web online features, and whatever other form we need. 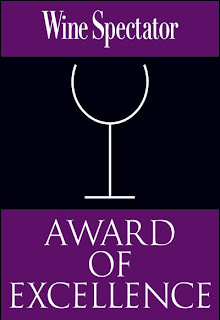 The tasting department also takes care of our Restaurant Awards Program which is about 4,000 restaurants. They also take care of our auction database where we track 10,000-15,000 wines at auction and probably 20-30 auctions every year. We then have to enter all that data, so it’s a very multifarious and technically oriented job but most of our senior editors have actually come through the tasting department. While they were in that tasting department tasting, they joined our apprenticeship program and passed, and became official tasters and started writing about the wines they were tasting and ultimately they’re in Bordeaux like James Molesworth visiting Chateau Latour. What are some of of the biggest changes that have happened at Wine Spectator during your tenure? I think the two biggest things that have happened since I’ve been with the magazine are in 1993 when we took the magazine from newsprint to a glossy, lifestyle magazine, and then the other thing was launching the website in 1996. It’s a team effort but I have to give most of the credit to Marvin. He’s really the visionary, he’s the guy that sets the pace and the goals and pushes everybody to get there. If I’ve done anything it’s nurture talent and set high standards for the quality of the content and the ethical integrity of the publication. I mean as we’ve seen recently, wine writing and ethics is a big question and hard to nail down but we have a clear set of policies and guidelines that I hope will keep us journalists first. That will give us trust and credibility with our readers, and that’s what makes a magazine successful. I would say quality content and quality people, those are my goals. Stay tuned for the third and final installment of my interview with Thomas Matthews as he discusses his thoughts on social media, wine bloggers, and favorite food and wine pairings. 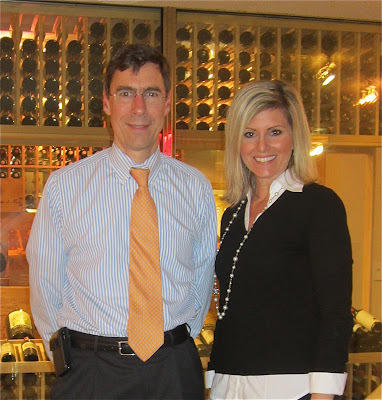 Interview with Wine Spectator Executive Editor Thomas Matthews: Part 1! My pulse quickened as I emerged from the subway station a few blocks from the Manhattan home office of Wine Spectator Magazine. I was about to enter the inner sanctum of M. Shanken Communications, home to one of the wine world's most influential publications. A few weeks prior I had arranged an interview with the magazine's Executive Editor, Thomas Matthews. I was looking forward to hearing about his personal journey in the world of wine including his twenty-three years with the iconic magazine. As I fumbled with my iPhone, making sure to "check in" before silencing it, the elevator doors opened and I stepped out and approached the glass double doors. Wine Spectator was founded in 1976 by Bill Morrisey as a San Diego-based tabloid newspaper at a time when the California wine industry was undergoing a period of exciting growth. The publication was purchased three years later by Marvin Shanken, the magazine's current publisher and editor, and has undergone many changes since that time. One man who has experienced many of those changes firsthand is Thomas Matthews, who joined the magazine in 1988 and has been with Wine Spectator and Shanken ever since. I was your typical liberal arts major in the 70’s with no idea how he would turn his interest in literature and philosophy and writing into work. I went to graduate school for Political Science which didn’t suit me so I decided to move to Spain and write the "Great American Novel” and after about a year and a half in Granada…I had finished the manuscript but I had also run out of money. It was September and a friend suggested we go pick grapes in Bordeaux. When I asked him why we should consider doing that he explained, “First of all the food is great, secondly they give you all the wine you can drink and finally the work is easy.” So I said, “Sign me up!” We found work as pickers in a little vineyard in Entre-Deux-Mers and he was right about two things: the food was great and there was plenty of wine but the work was definitely not easy! Nonetheless there was something about the whole environment that really captivated me. This was a small family vineyard not pretentious in any way and they really lived in their culture: the buildings, the landscape, the day to day routines, the way that food and wine really all kind of seemed to fit made a lot of sense to me, so I decided to see if I could make wine a part of my writing life. How did you end up finding your way into the wine industry from there? Ultimately, I moved back to New York and started trying to freelance and got a job as a bartender and when the wine guy quit I said, “I can do that!” so they let me take over the wine list. I spent four years as a wine buyer in New York City restaurants which was a great education...and at the same time I was slowly building a freelance career writing about wine, but about a lot of other things too. After a while my back started to hurt from lifting all the cases and my girlfriend at the time, now wife…felt sort of stifled so we decided to go back to Europe. We moved back to France in 1986 to write a book about life in the kind of wine village where I had picked grapes years before and it was great. We found a small town that was just right, they were welcoming, they were real and most of the town lived on growing grapes and making wine. Sarah’s a photographer and she started a photography career illustrating my articles. I was writing for Progressive Architecture…and I was writing for food and wine books but really Wine Spectator was my main market and they were looking for someone to work in their London office at the time. So Marvin [Shanken] interviewed me and offered me the job and I thought I’ve pretty much finished the research on the book, I’ve never lived in London, I might like it, and you know what, if it doesn’t work out I can always quit…well, that was 1988. How did you feel about writing exclusively about wine at that point? I think if you’d asked me if I wanted to be a wine writer I would have said wine was a pretty small subject, but in fact it embraces the whole world. You’ve got architecture, you’ve got agriculture, you’ve got science, you’ve got history, you’ve got people-incredible amazing people and you’ve got generosity and hospitality and good living and so, there you are. How did you first meet Marvin and what was your initial impression? I started working with his editors and then I interviewed with him for this position. He happened to be in Paris and he called me up. Marvin is a very visionary, passionate, driven person and you get the sense that he’s going to get where he wants to go and if you have an idea that you might want to go there it kind of makes sense to tag along. You certainly moved around a bit! How did you finally make the move from London back to New York? After a year and a half in London, Marvin wanted someone in New York because he’s always been in New York. The main offices of Wine Spectator at that time were in San Francisco and I would have liked to live in San Francisco but nobody on the staff wanted to come to New York and I can’t really blame them. So I thought if you’re going to work for the Sun King you might as well move to Versailles and I’d already lived in New York and loved it so I said I’d come. Then after a few years he shut down the operations in California and moved all of the editing and production here to New York, so they joined me after all. What is a typical day like for you here at Wine Spectator? The good thing about being the Editor is that you have so many different fields that you’re overseeing and trying to guide forward so I have about thirty-five people on our staff between the editorial people, the tasting people, the art people, the web people and on any given day I’m interacting with all of those different departments. I’m editing copy, looking at layouts, going over web ideas, I’m tasting or I’m looking at tasting results so my goal is really to help motivate and direct the talent of the people who work for me and on any day I’m talking with all thirty of them plus you or anyone else that calls or comes in, so the diversity of tasks is one of the things I like best about the job. As Executive Editor, do you travel a lot or are you mostly based in New York? In the old days when I was really more of a writer and a taster I would travel for good chunks of time to the wine regions I was covering. So I might spend a week in Rioja just in the cellars and vineyards tramping around and tasting and talking with people, or in the Rhone, and unfortunately I don’t do that as much, which I miss a lot. But we have events, our Grand Tour Tastings and our Wine Experience. We support events like the South Beach Wine & Food Festival or Vinexpo or Vinitaly and that keeps me traveling quite a bit so it’s not as much the boots in the vineyard stuff as it is schmoozing and talking and tasting, but it's still pretty fascinating to meet the wide range of people and get to explore the different places. What is your current favorite wine region? I’ve always been more of a radio listener than an album buyer. I like to be open to what’s happening out in the world and try new things. I’m not really a collector myself, I’m more of an explorer. Really what I want is to experience a wide variety of wines and understand those wines as much as possible. That said, that time in Bordeaux really helped form my palate so my idea of a great red wine is still kind of based around what a mature Bordeaux tastes like: balance, elegance, complexity, length and so that’s what I’m looking for when I’m tasting wines whether they’re from Spain, California or Australia. Stay tuned for the second installment of my three-part interview with Thomas Matthews where he discusses some of the magazine's most memorable milestones, explains how they taste and document all those wines and gives valuable advice to aspiring wine writers.